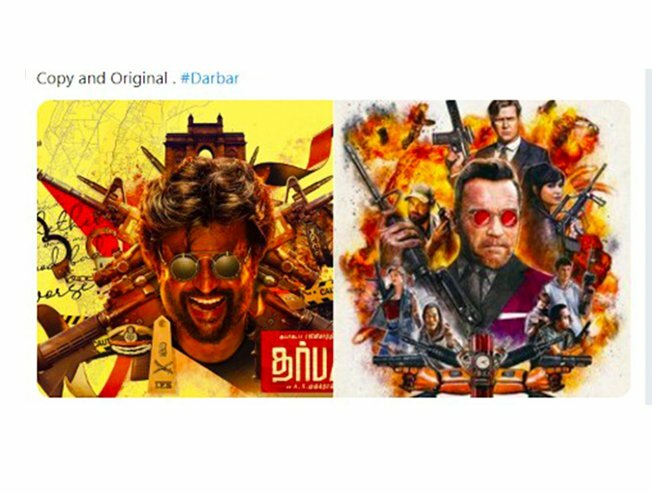 A.R Murugadoss – Rajinikanth’s DARBAR First Look Poster Copied ?? Official Statement Here !! Superstar Rajinikanth is on a roll as after the release of Petta in January, the first look of the actor in AR Murugadoss’ new film dropped on the Internet today. The film, which is titled Darbar, appears to be a cop drama of sorts. In the first look poster, Rajinikanth’s elated picture takes the centrestage as insignia from a cop’s uniform including a belt and a shoulder badge surround him. A police dog, several guns and the Gateway of India (located in Mumbai) also appear on the first look poster. The filmmakers have not shared too many details about the project, which was earlier called Thalaivar 167. The poster made a big impact in social media with sevaral positive response and memes. Some started to refer it as “The Return Of Alex Pandiyan”. But what came next was something to forget for Thalaivar fans and most importantly for the makers of the movie. As it is a A.R Murugadoss’s film, as soon as the poster released, issues of plagiarism followed it. Some of the fans in social media started to compare the first look poster with a poster of universal star and body builder Arnold’s movie Killing Gunther which was released in 2017. Designer Vinci Raj who worked for Rajinikanth’s movies in his previous ventures came up with an official statement to clarify on the issue. Now tell us what do you think on this baseless allegation against an authentic designer ?? Comment your views below !! Previous articleKajal Aggarwal Receiving Hatred From A Set Of Fans For This Reason !! Check Out !! Next article“Wink” Sensation Priya Prakash Varrier Hilariously Trolled For This Bizarre Reason !! Check Out ! !